Hailing from Pathanamthitta district, the actor had quit from the Indian Army where he was a Captain and started his acting career in 1981. Captain Raju has starred in around 500 Malayalam films. 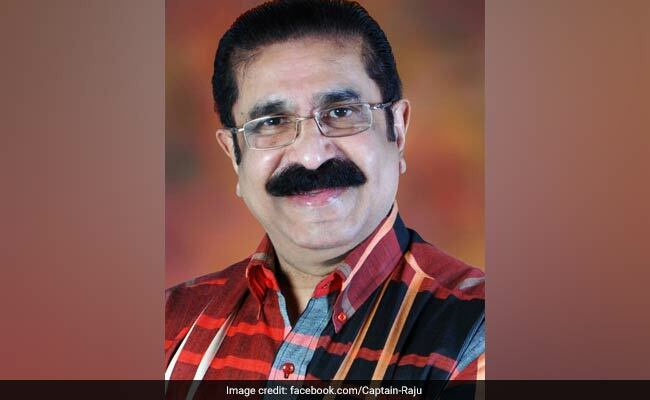 Veteran Kerala actor, Captain Raju, died on Monday at his residence in Kochi, said family sources. He was 68. While travelling from Kochi to the US in June to attend his son's marriage, the actor suffered stroke and was shifted to a hospital in Muscat. After a week's treatment in Muscat, he was airlifted back to Kochi on July 2. He was often cast as a villain and has featured in character roles and in TV serials. He was last seen in the Malayalam film "Masterpiece". The actor has starred in around 500 Malayalam films and has also been a part of numerous projects in Tamil, Telugu, Kannada, and Hindi as well. In addition to acting, he has also directed two films "Mr Pavanayi 99.99" and "Itha Oru Snehagatha".